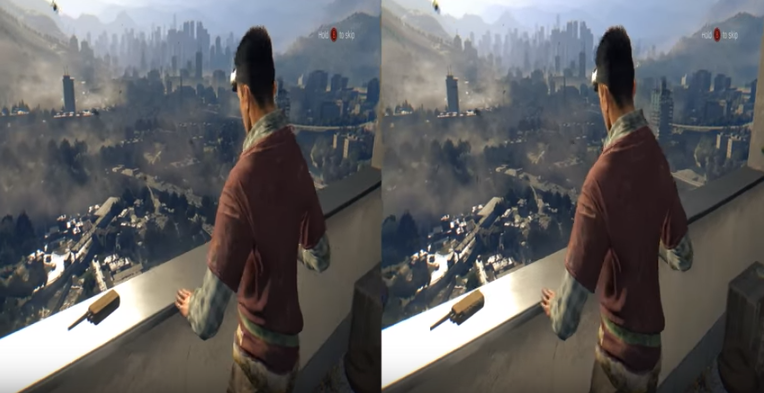 Oh yeah: Real stereo 3D capture of the video game “Dying Light”. Kann ich mangels Device leider nicht ausprobieren, aber die eine oder andere von euch vielleicht. Sagt ihr mir dann, wie gut oder schlecht es funktioniert? Also Cardboard hätte ich schon, aber grad nicht hier, vielleicht heute abend. Ich wollte nur schon mit euch teilen. Stelle ich mir ganz geil zum Ansehen vor. Alle Medien, mit denen man Geschichten erzählen kann, kämpfen um unsere Aufmerksamkeit, auf Leben und Tod. Wer bleibt übrig? Zur Wahl stehen Film, Fernsehen & Webserien, Spiele, Prosatext, Virtuelle Realität (VR) sowie Comics. In What’s The Best Medium For A Storyteller In 2015 And Beyond? versucht sich Hugh Hancock an einer Antwort. Sehr überzeugend, wie ich finde. Es folgen die Money Quotes aus dem Text, Best Of, aber lest den bitte ganz. Es lohnt sich! Right now, the world of indie feature films is fucked up. The only other narrative medium that’s changing as fast as film right now is VR. Televison’s a refugee camp right now, where half of the hollow-eyed survivors wandering around in a daze are absent-mindedly clutching Oscars. If you have any interest in gaming as a creative medium, I urge you to download either the latest Unity or the latest Unreal Engine release. They’re astonishingly easy to use; you’ll be able to create a playable game inside about two hours if you have any familiarity with programming or 3D tools, and probably about three hours if you don’t. They’re absolute powerhouses of software, powering most of the latest big releases right up to AAA games in Unreal’s case. Oh, and they’re free. Barring some reasonable royalty agreements, completely free. If you’re very focused, have innovative ideas for ways to tell stories through games without spending too much time on them, and are good at making friends with journalists, indie games are an interesting option for a storyteller right now. Prose is interesting because it’s the only one of the artforms I’m discussing here that has gone through a revolution in distribution but not in creation. […] [P]rose distribution is the only one of these artforms that has really seen a frictionless, practical self-distribution framework emerge. There are two huge problems with VR for a storyteller at present. First, not that many people have a VR headset. Secondly, no one has the faintest idea how to tell stories in VR. VR experiences aren’t even that hard to make. Unity and Unreal both work natively with the Rift — it’s essentially no harder to make a Rift game than to make, well, a game. [S]everal people are predicting a massive crash in the studio world in the near future when a couple of tentpole blockbusters fail badly, and I’m inclined to think the odds of that happening are good. The sheer quantity of indie features being made right now – 10,000+ a year or more – also all but guarantees that we’ll see an E.L. James style breakout hit from the truly indie film world in the near future; probably more than one. I’m less than convinced about the long-term viability of the feature format, because it’s dependent on the cinema as a long-term cultural artifact. VR is either going to fail utterly or be huge, for values of ‚huge‘ meaning ‚bigger than the mobile phone‘. I don’t think it’s possible to overestimate the impact of the first genuine reality simulation. VR isn’t just a game-changer — it’s a reality-changer. [I]t may be that VR fails and the second horseman of the VRpocalypse, Augmented Reality, ends up being the real winner. That’s certainly what Microsoft are betting on with their Hololens. Nochmal der Link zum gesamten Text, weil ihr den unbedingt lesen wollt: What’s The Best Medium For A Storyteller In 2015 And Beyond? Gern geschehen.